SmashToast receives $50,000 equity-free Arch Grant! | SmashToast, Inc.
ST. LOUIS, MO – June 18, 2015 – Arch Grants, a non-profit providing $50,000 equity-free grants and pro bono support services to entrepreneurs, will introduce today the first 11 of the 2015 Global Startup Competition Recipients. This announcement is the first of two in 2015, with the second set of grants being announced in November. Arch Grants has awarded $3.65 million to grow 66 early-stage businesses since the organization launched in 2012. These companies have created more than 250 jobs in Missouri, generated $16 million in revenue, and raised $49 million in capital funding as of March 31, 2015. Since the launch of the competition, Arch Grants has attracted applications from entrepreneurs from 62 countries and, in the United States, across 41 states plus the District of Columbia. In addition to receiving a $50,000 non-dilutive cash grant, pro bono services are awarded to recipients eager to locate or retain their businesses in St. Louis, including accounting, legal, marketing, design, communications, web hosting, human resources, and financial and information technology consulting. Applied Particle Technology specializes in an innovative, energy saving, high efficiency, air purification technology to address the challenge of providing clean indoor air in commercial buildings and specialty filtration applications. Better Weekdays is a mobile job matching platform that helps universities improve job placement outcomes of its graduates, and helps companies hire these candidates based on job compatibility and culture fit. The CrisisGo mobile app is a universal safety and communication tool for groups and organizationsofanysize. Withtheapp,groupmembersusetheirsmartphonestocommunicate with all other group members and to respond to emergency situations with individualized action checklists, alert others about dangerous situations, view building maps, obtain emergency contact information, review attendance rosters and locate threatened group members with GPS technology. HIPAAtrek’s cloud-based software guides healthcare organizations, and companies working with healthcare organizations, through creating, implementing and maintaining a customizable HIPAA compliance program. Invisible Girlfriend and Invisible Boyfriend helps those stigmatized for being single by giving them a believable virtual partner who will text with them, leave them voicemails and send them handwritten notes-letting them live their life free from society’s pressure to be in a relationship. Jobsite Unite is a mobile-first app that helps simplify, streamline, and record critical jobsite communication for residential and commercial construction projects. Listo is an app that is revolutionizing the global entertainment industry by allowing people to watch movies and TV shows in their preferred language, anywhere in the world. Million Dollar Scholar is an ed-tech venture offering the first SaaS solution to help parents and schools teach their students to gain financial aid opportunities to pay for college. Scoville & Co makes medicine manageable by bringing hospital solutions into the home. SmashToast develops technology to connect the home to your smartphone. “St. Louis was founded by entrepreneurs and immigrants and we are proud to support the next generation of entrepreneurs and immigrants who are, once again, defining our region’s future,” said Ginger Imster, Executive Director, Arch Grants. The competition has evolved to include two groups each year, summer and winter. The second group of 2015 Arch Grants recipients will be announced Nov.12 at the Third Annual Arch Grants Gala. The cycle to identify the winter cohort is underway with rolling application deadlines of July 10 and Aug. 30, 2015. 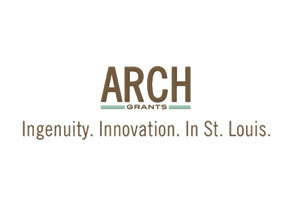 Arch Grants creates an entrepreneurial culture and infrastructure to build successful companies in St. Louis. The organization provides $50,000 equity-free grants and pro bono support services to entrepreneurs eager to locate or retain their early-stage businesses in St. Louis. For more information, visit archgrants.org.